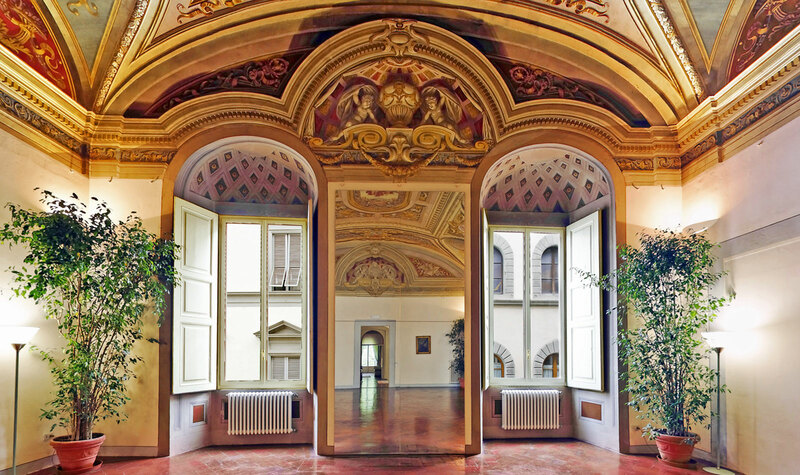 The Junior Suite of Palazzo Magnani Feroni in Florence is a truly spectacular one-off, a romantic and unique hideaway perfect for those who want much more than an ordinary elegant décor. With its 65 square meters space, this Junior Suite in Florence boasts original antique frescos all over its walls. The fine furnishings and the exquisite fabrics enrich it and make you feel embraced by a true luxurious world. 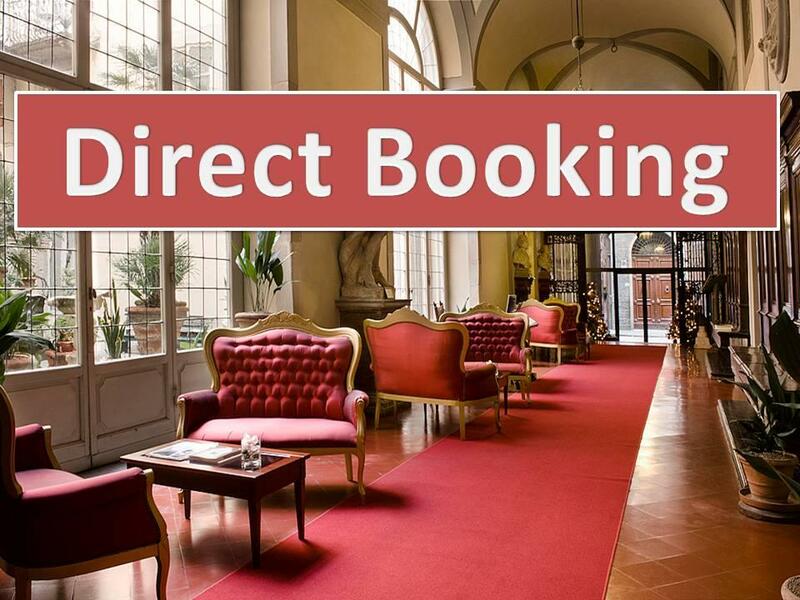 The Junior Suite features a little open air private courtyard where you can unwind in the center of Florence surrounded by the majestic walls of the palace and organize exclusive private candlelight dinners. Composition: Located on the ground floor and it is approximately 65 square meters with a large bathroom in Old Florentine style but with a totally modern whirlpool shower. Private courtyard with table and chairs. The recently renovated bathroom features a brand new hydro massage shower with cromotherapic enlightenment and suffused music to indulge in moments of pure relaxations.